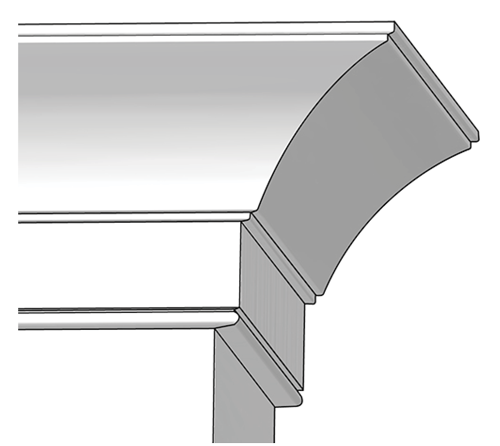 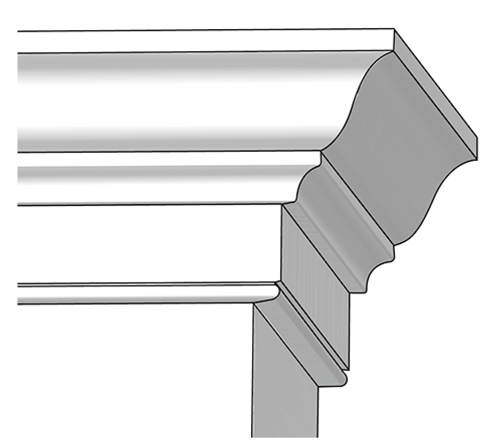 Astragal: Use any accent moulding or base cap as an astragal. 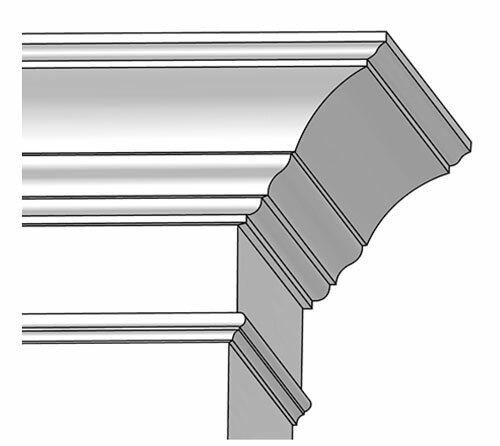 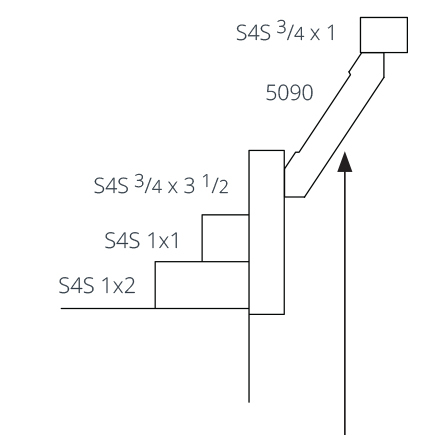 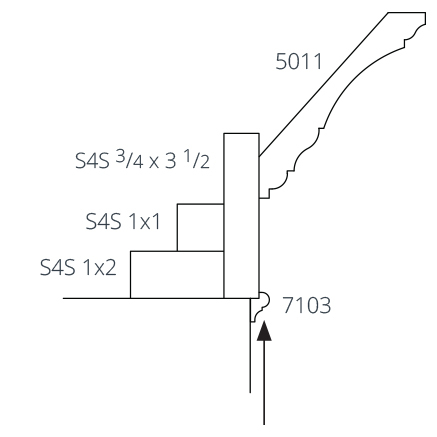 Frieze: Use any baseboard or S4S as a frieze. 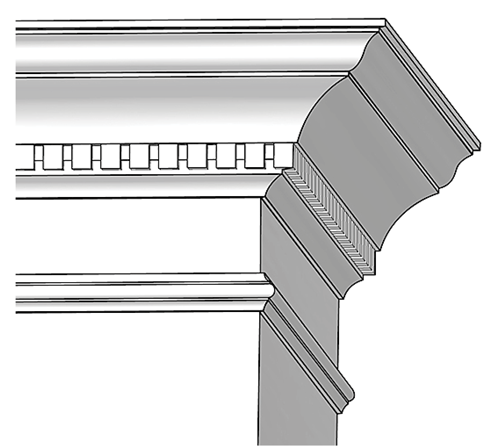 Crown: Use medium-to-large one-piece crown, or combine multiple pieces for a custom design. 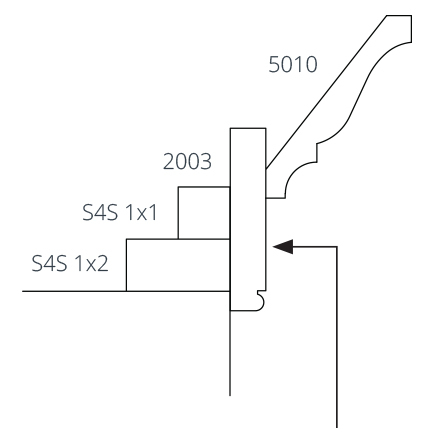 Backer Boards: Use unfinished poplar S4S as backer boards. 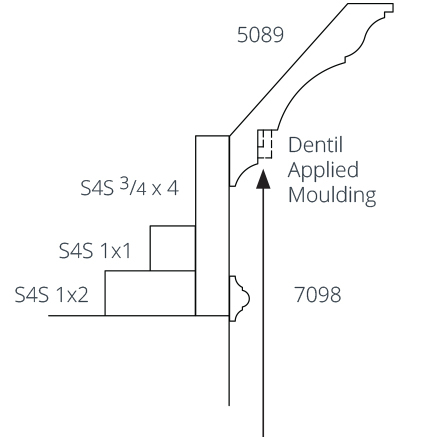 Dentil: Use dentil applied moulding. 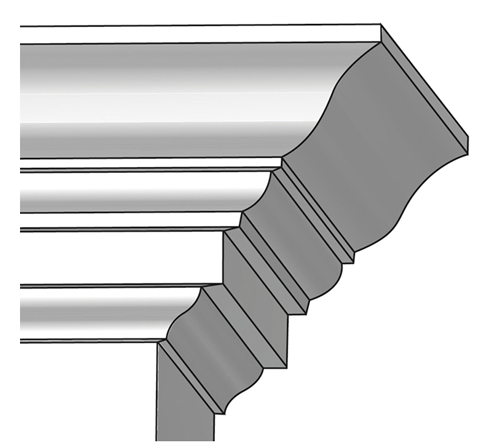 Rope and egg & dart applied moulding are also available. 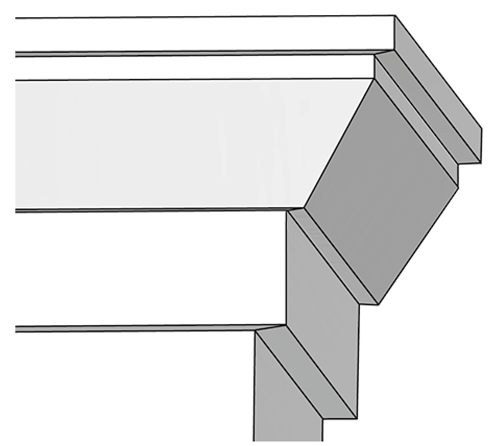 (1) Bed Mould: Use bed moulding or small crown. 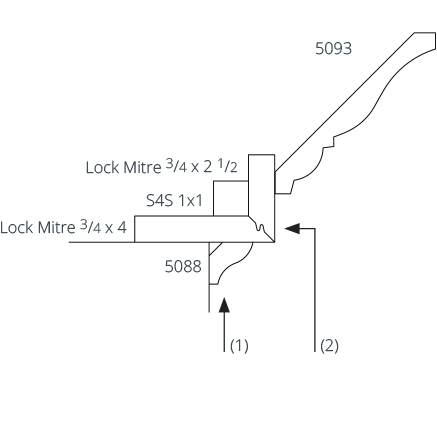 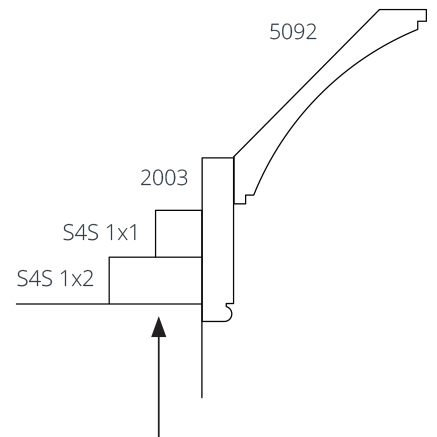 (2) Corona: Use lock mitre construction for the corona or build-outs.